My motto in life is that money cannot buy happiness and should not be the most important item in our life, but money is still a necessary evil. I don't aspire for a million dollars though. 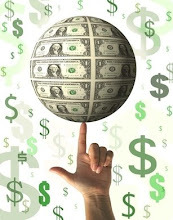 I write a personal finance blog to learn and discuss money saving tips. Not to forget, making friends around the blogosphere too. If you have time, please take a look at my green energy blog too. Guess Who Has The Highest Net Worth? We love to keep up with the Joneses by purchasing the latest electronic gadgets, luxury SUVs, dressing in branded apparel and dining at high-class restaurants. But behind all these glitz are mountains of debts. 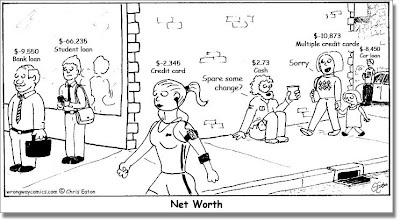 Look at the comic below and see who has the highest net worth. It is a sad reflection of our current society.